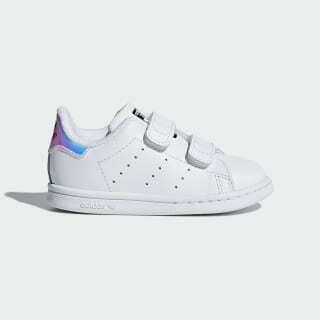 Toddlers' shoes update the timeless look of Stan Smith with an iridescent upper. The Stan Smith steps out in a premium new look. These toddlers' shoes shine bright with a leather upper covered in an iridescent foil. 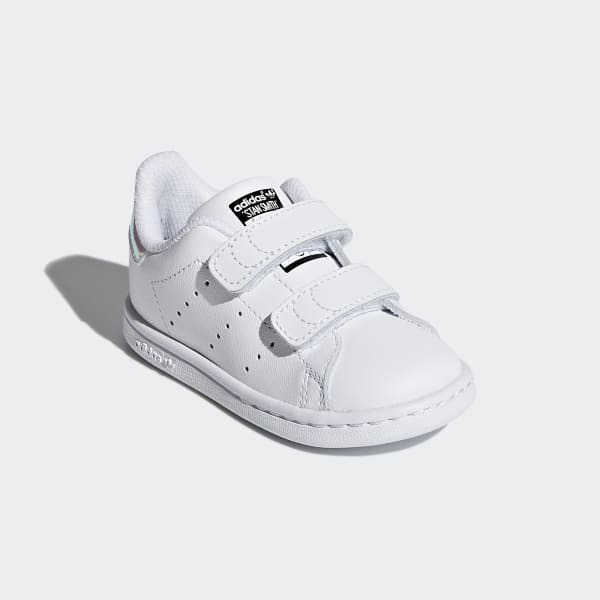 Hook-and-loop straps in place of laces make it easy getting them on and off tiny feet. They're lined in soft terry and breathable mesh.